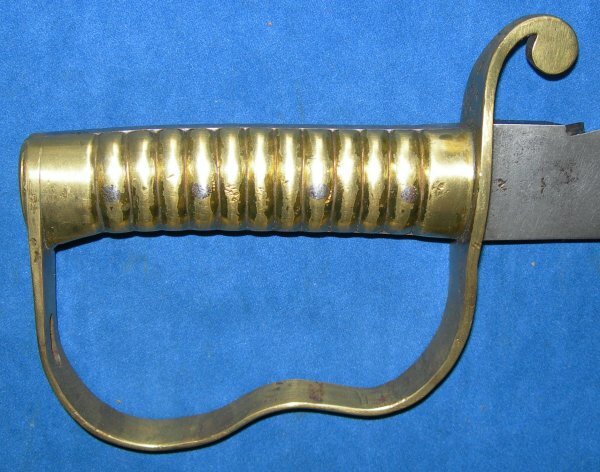 A February 1900 dated 1856 pattern British pioneers sawback sword, by Wilkinson, almost certainly for the Railway Pioneer Regiment during the Boer War, in very good condition. 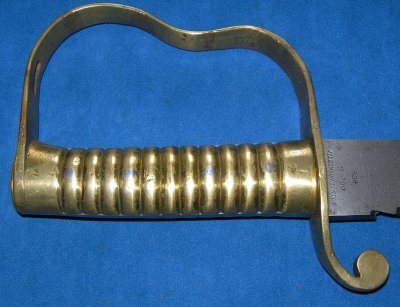 Stamped 2 '00 for February 1900, this Wilkinson made 1856P sawback pioneer's sword was almost certainly therefore made for the British Railway Pioneer Regiment in South Africa during the Boer War. Marked "Wilkinson London" together with a crown over 15 over W approval stamp from the inspector at Wilkinson's for the War Office. The 22 1/2 inch blade is in very good condition and firm in the hilt. 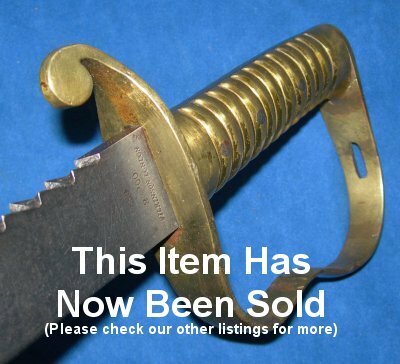 The hilt equally good, everything solid. This is an above average example, for sure. Please quote item reference H39 (1017). Further / full sized images available upon request.